I love business lunches! I don't usually go to this part of Toronto, so it's ripe to visit a new place! My colleagues love this place and go every time they're in the area. It must be good! They did all of the ordering which took the pressure off me. I already had to prove I could use chopsticks. It's bright and airy; lots of light and windows. It's monochromatic and has lots of comfortable booths. The menu has many pages with many photos. I'm glad they ordered, because I didn't know where to start! Everything looked so good and there were many items I'd never tried. Not only that, but the prices were phenomenal; most lunch dishes were under $10. Vermicelli time! Feeling overwhelmed with the menu choices, I had whatever they had. 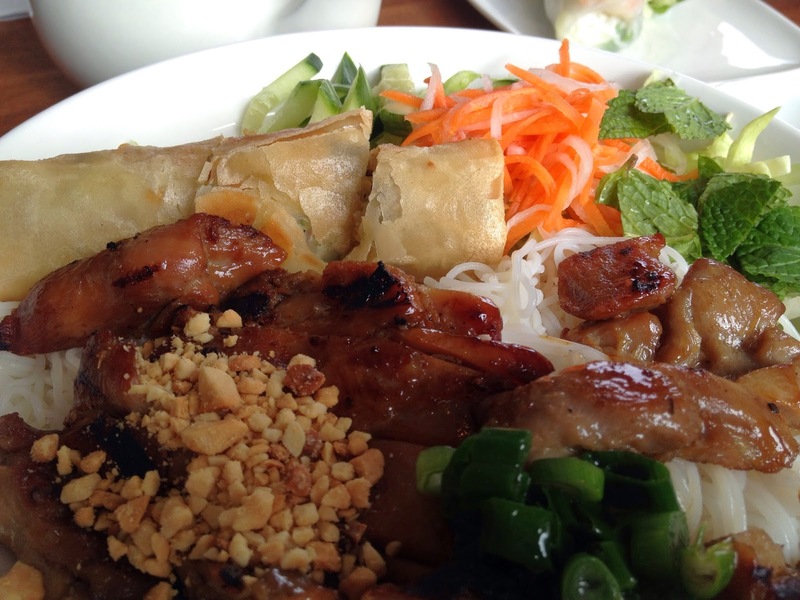 Grilled Chicken Vermicelli with Spring Rolls it is! The grilled chicken was tender and juicy; along side a garden salad, this dish was a winner! 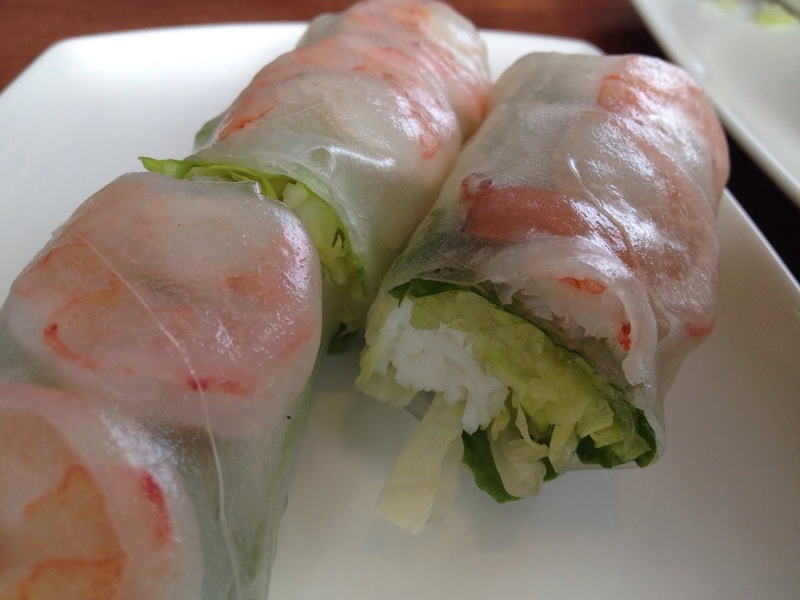 The spring roll was pretty standard. I'm Italian; I've had my fair share of standard, Japanese and Thai noodles, but these were different. They were thin, white and light. They weren't has heavy, like your standard udon noodle, and man are they slippery! My chopsticks skills were failing miserably. There was no way I could finish it, not due to skill, due to the sheer amount of food. We had just started eating when our server brought another plate of food that we didn't order. I think she was new. When we told her she went all 'deer in headlights' on us. She would verify our orders and then disappear for a long time. She was pleasant and the food was good, so we didn't mind. Gotta learn somewhere! What a great first time trying Vietnamese food! 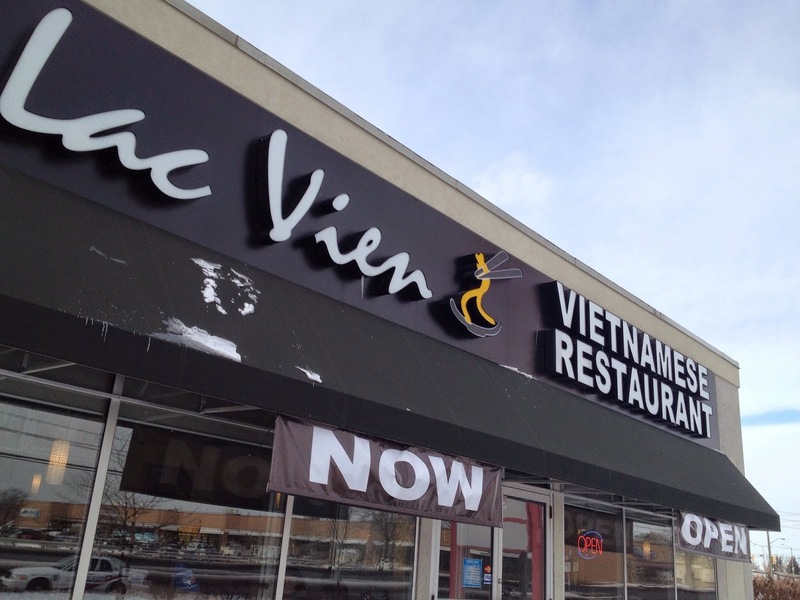 I'd love to return to Lac Vien. The quality and presentation of their food is absolutely something they take pride in. By looking around, they have a lot of happy customers! I'm glad I had some experts with me. Sometimes the best way to experience a new cuisine is to have an expert with you. They make sure you don't miss out on anything!